Lucas Bietti Homepage: New publication: Review. Can the Mind be Extended? And How? New publication: Review. Can the Mind be Extended? And How? Can the Mind Be Extended? And How? Upshot • The “Extended Mind Thesis” claims that cognitive processes are situated, embodied and goal-oriented actions that unfold in real world interactions with the immediate environment, cultural tools and other persons. The body and the “outside” world, undoubtedly, have a crucial influence, driving human beings’ cognitive processes. 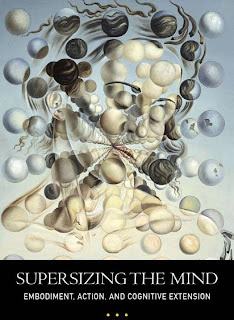 In his book, Andy Clark goes slightly further by claiming that the mind is often extended into the body and the world.